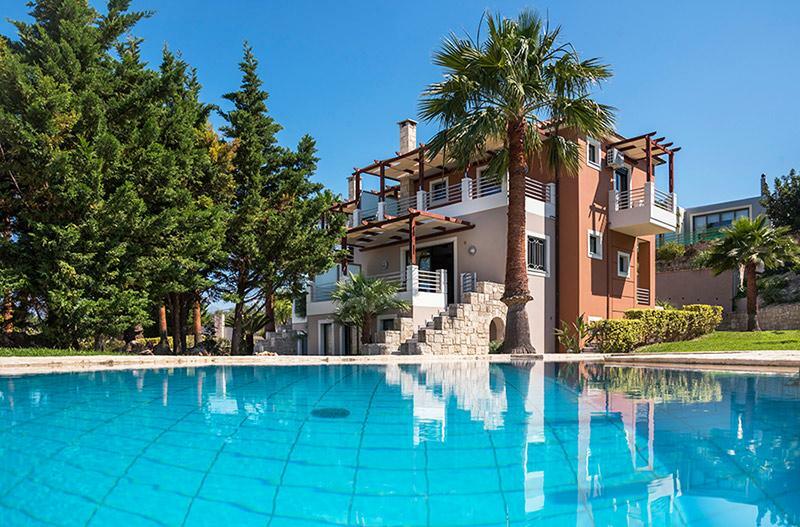 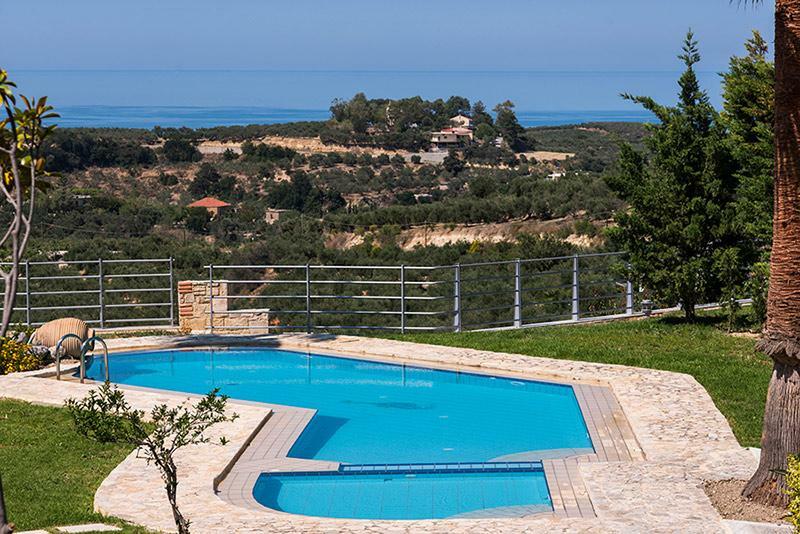 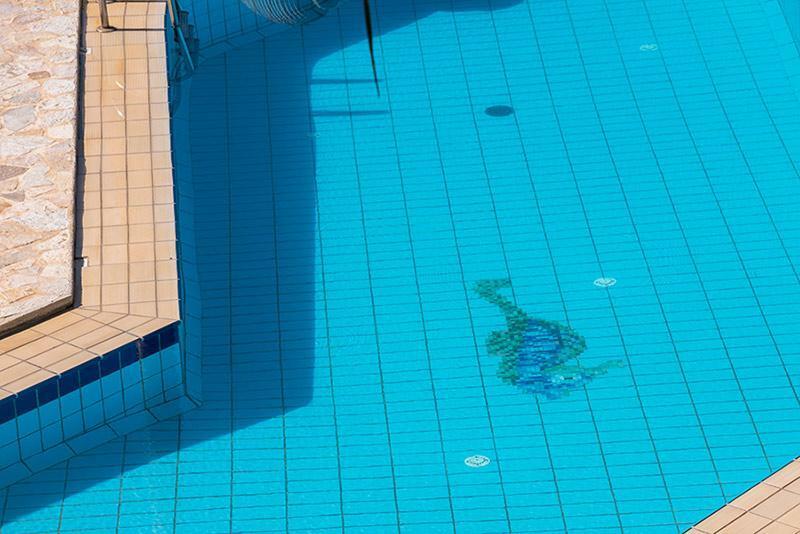 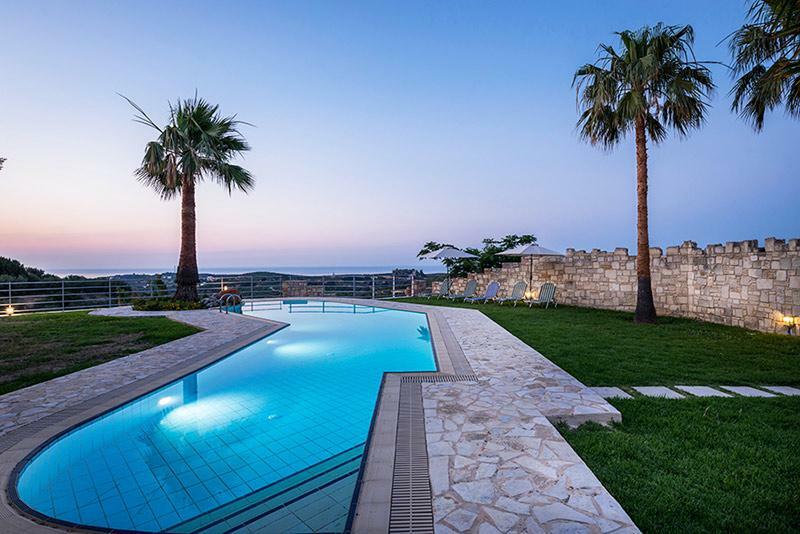 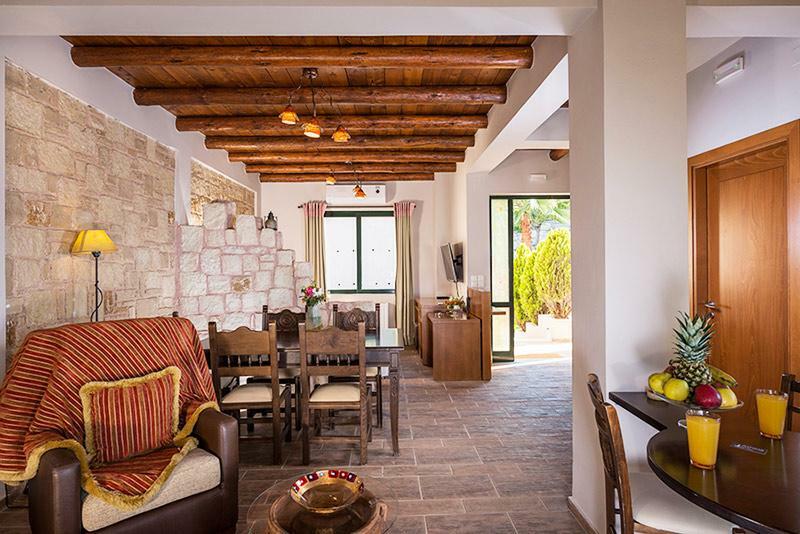 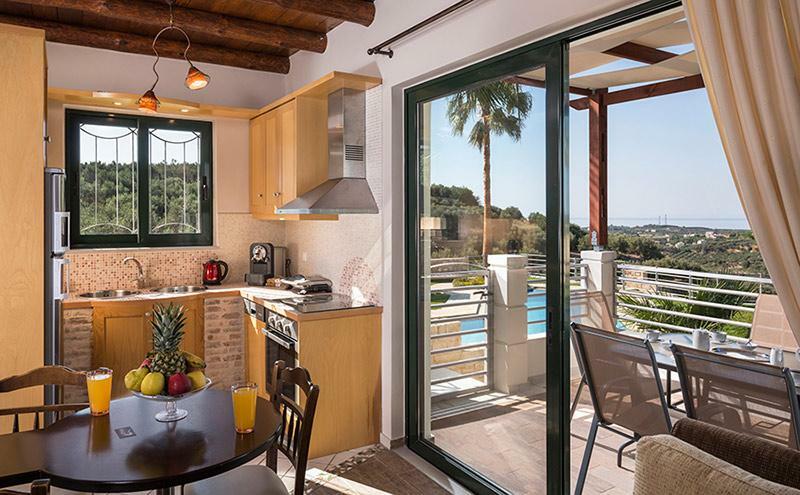 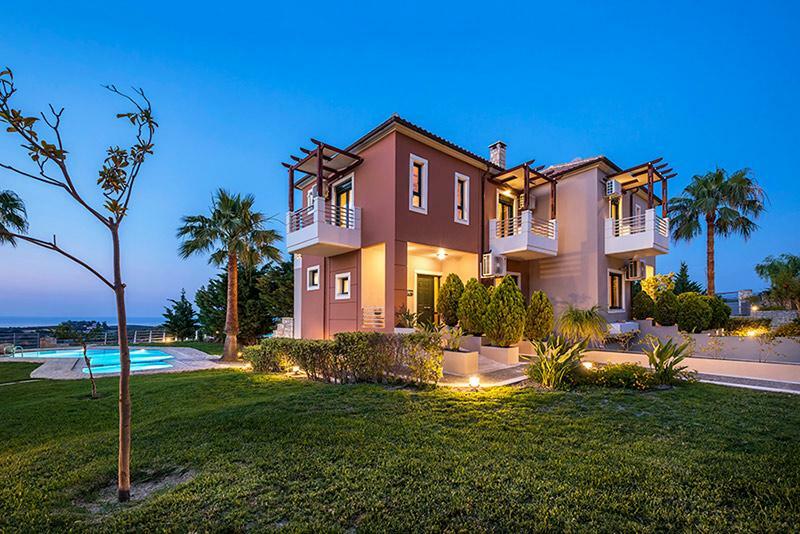 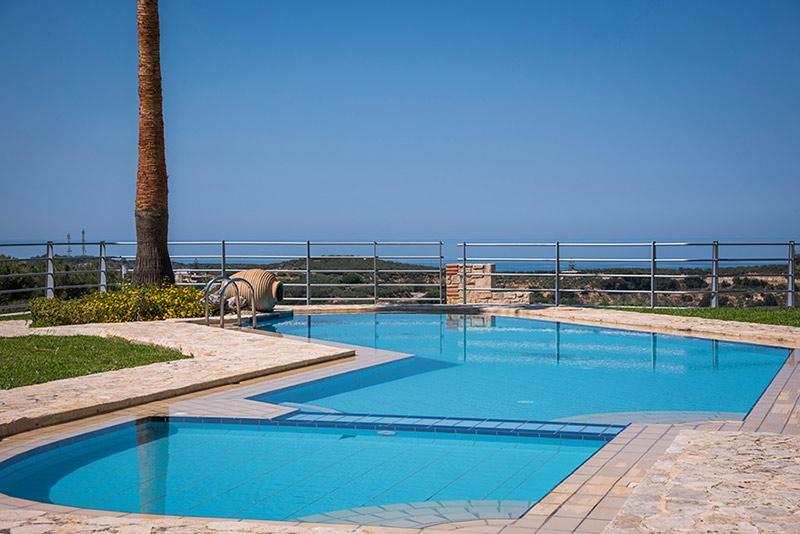 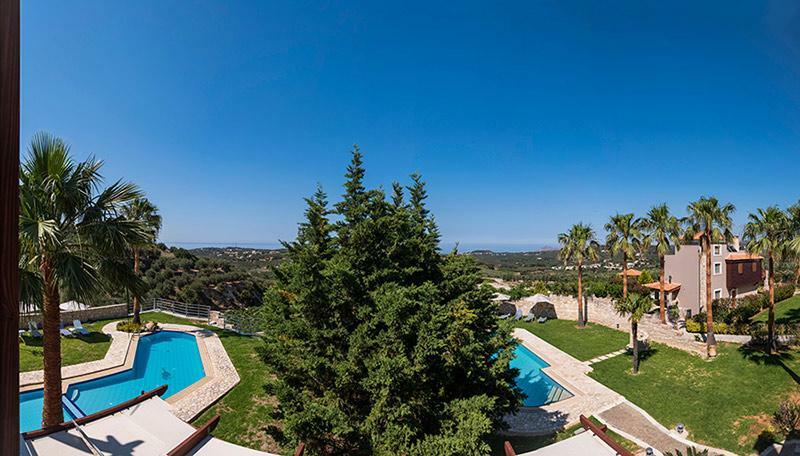 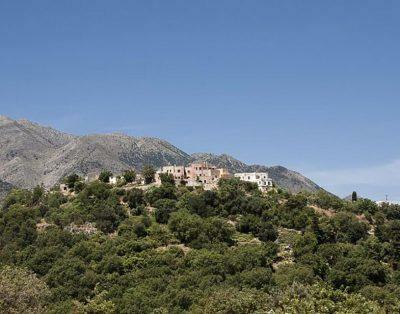 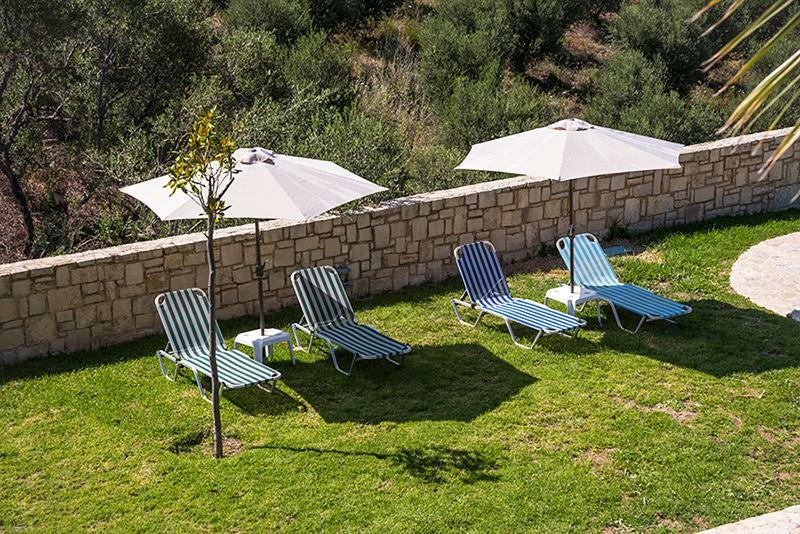 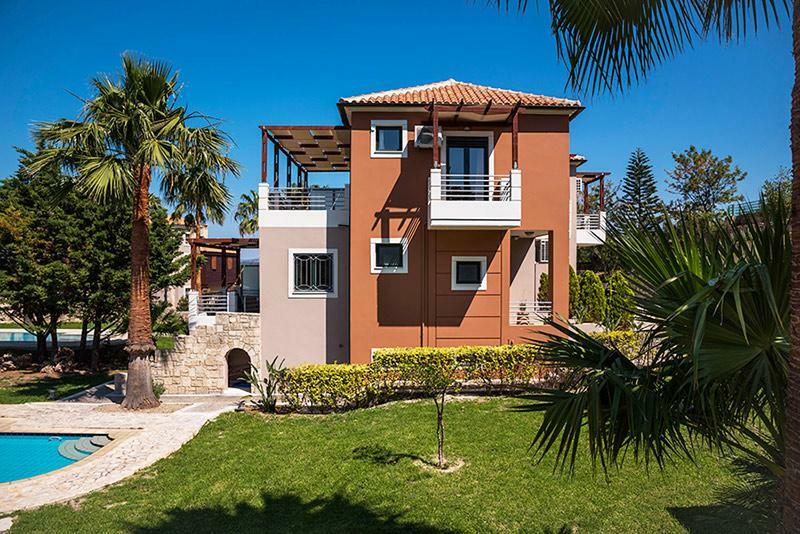 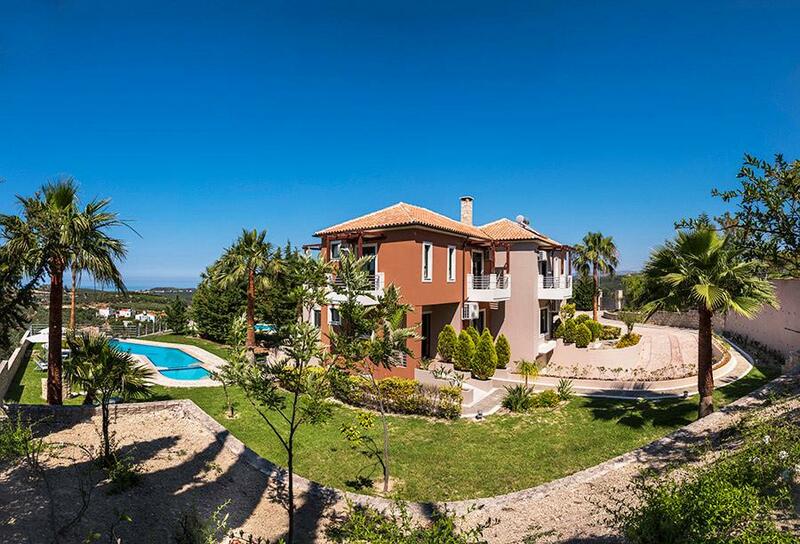 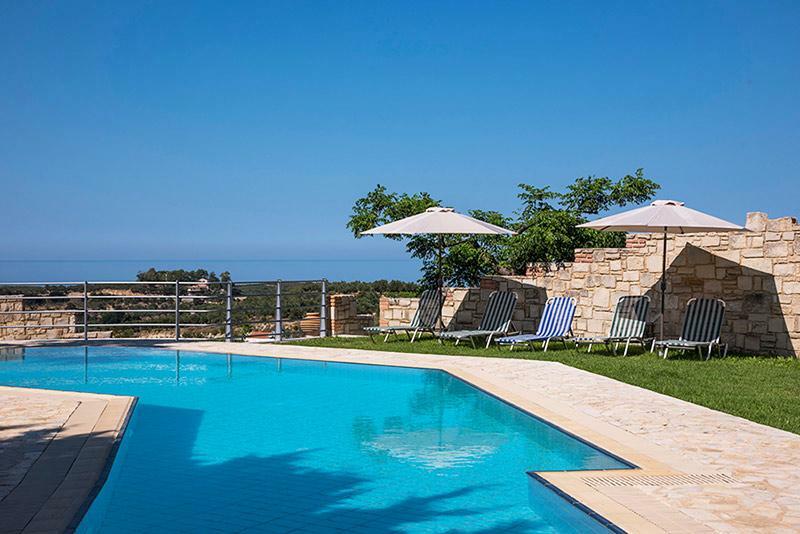 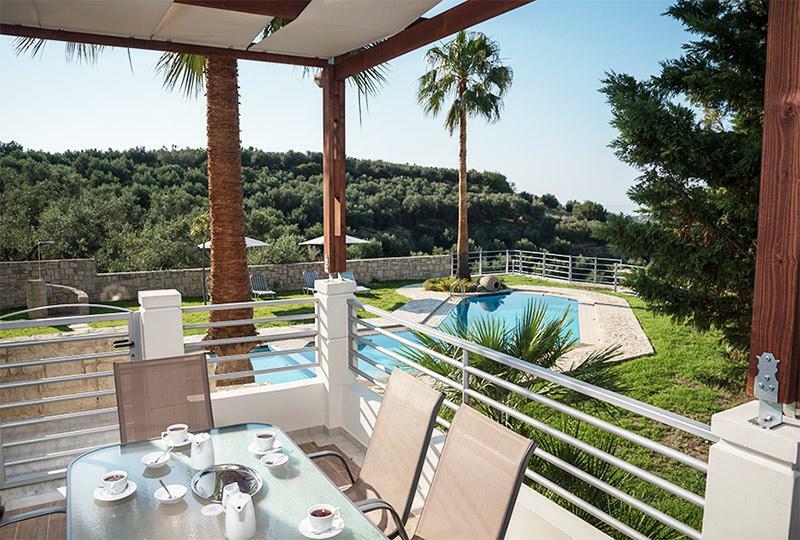 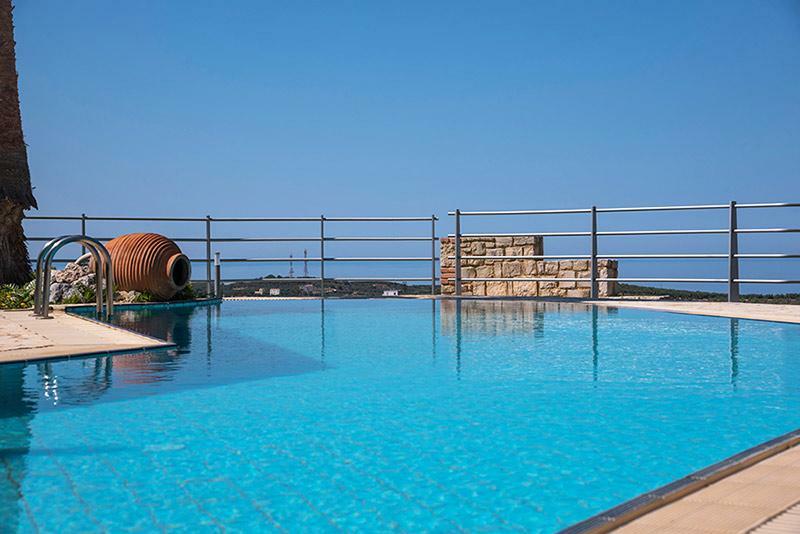 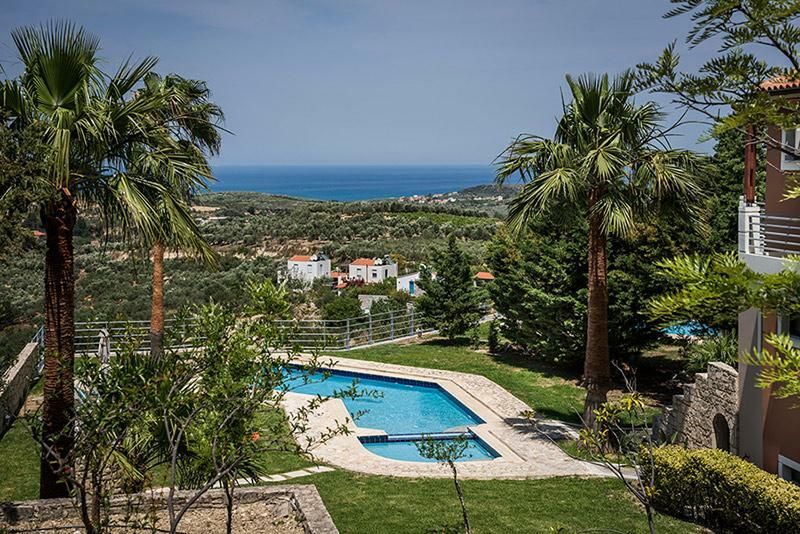 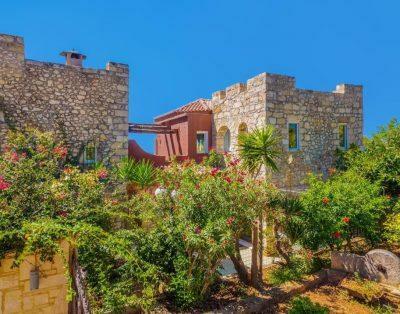 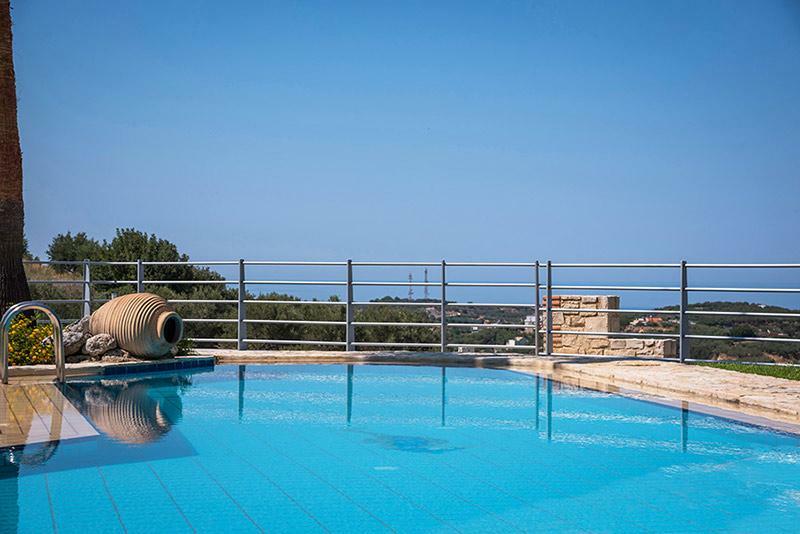 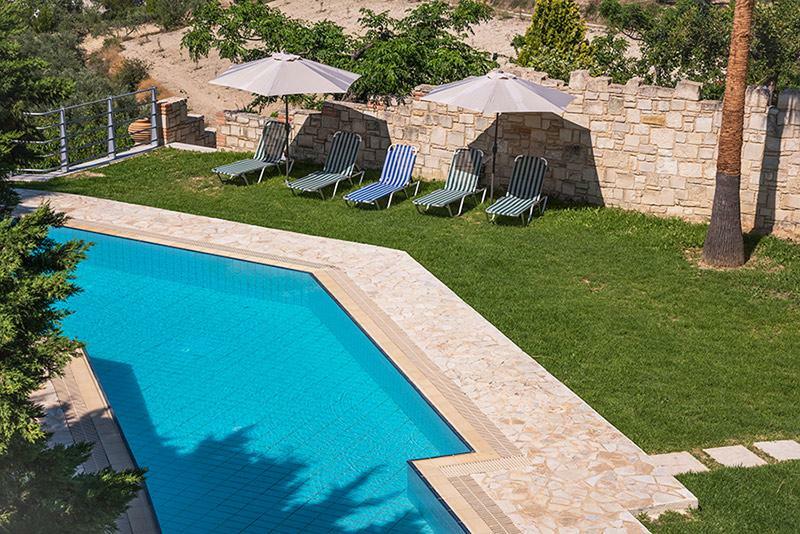 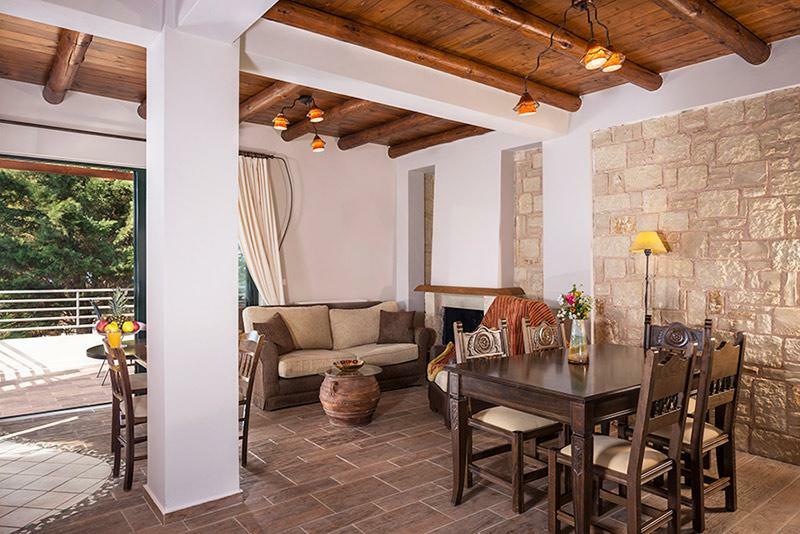 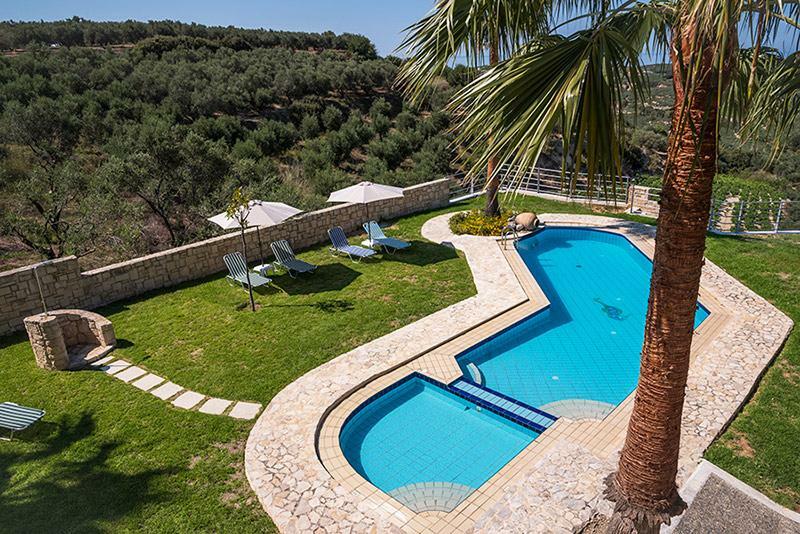 Villa with private pool, hydromassage for 7 persons | Villas in Crete to rent - Holiday villas for rent in Crete. 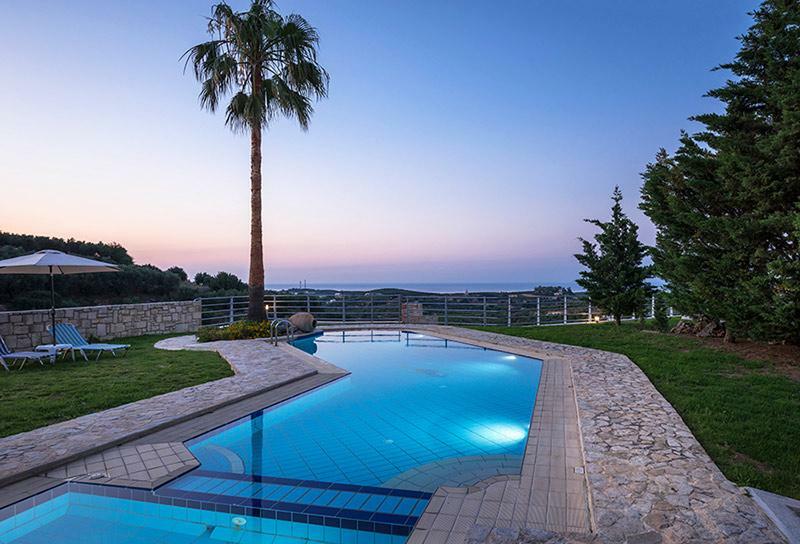 Nice sea view villa with pool and services in privacy. 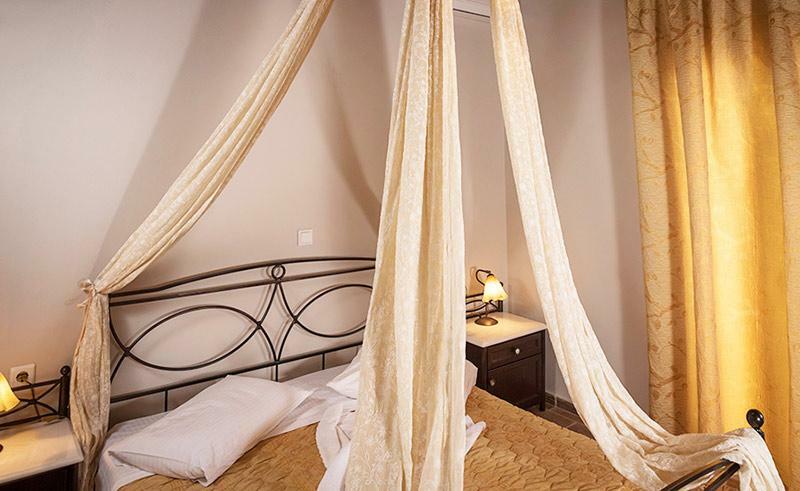 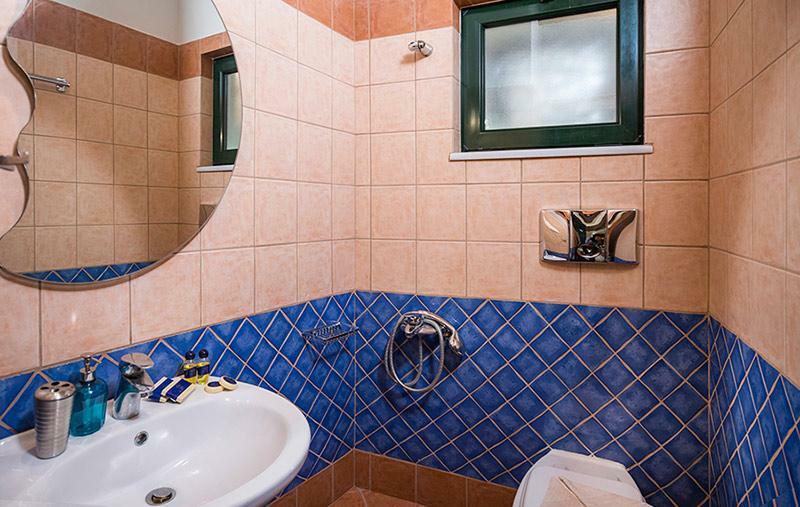 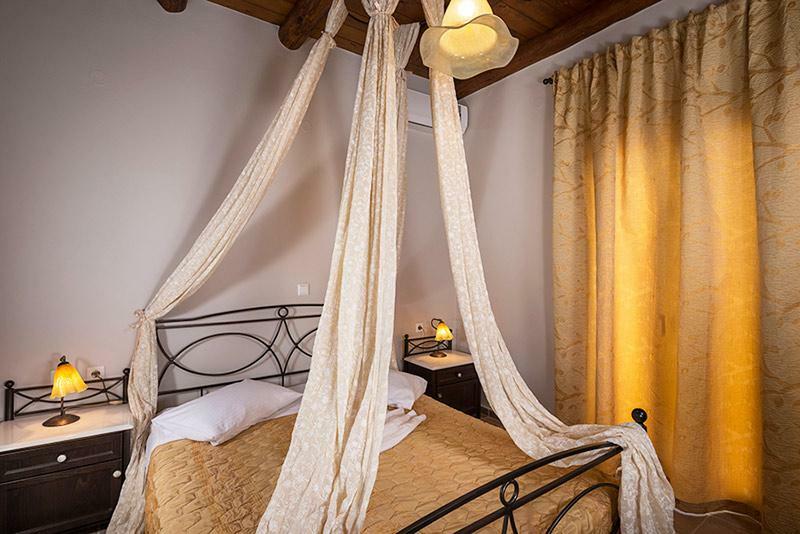 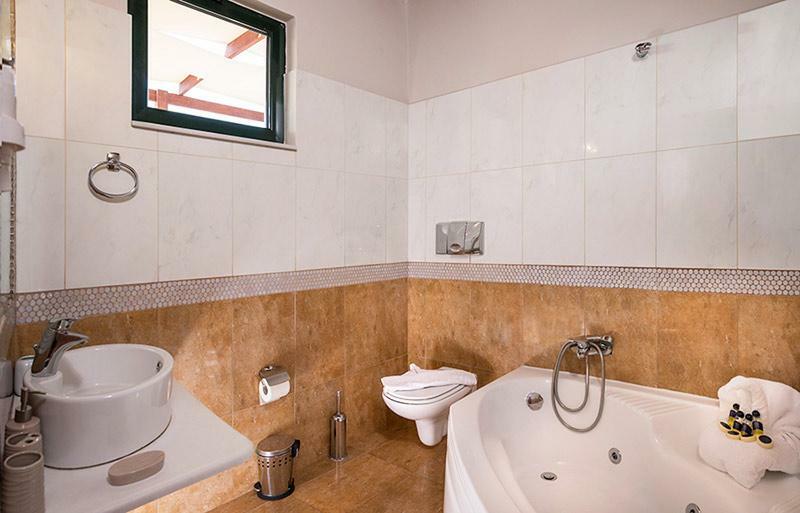 Comfortable two-storey villa of about 110 sq.m., with large verandas, consisting of one bedroom with a double bed covered by a beautiful mosquito curtain, a bedroom with two single beds and one attic with a twin bed while there are two bathrooms, one with a jacuzzi bathtub and another one with a shower. 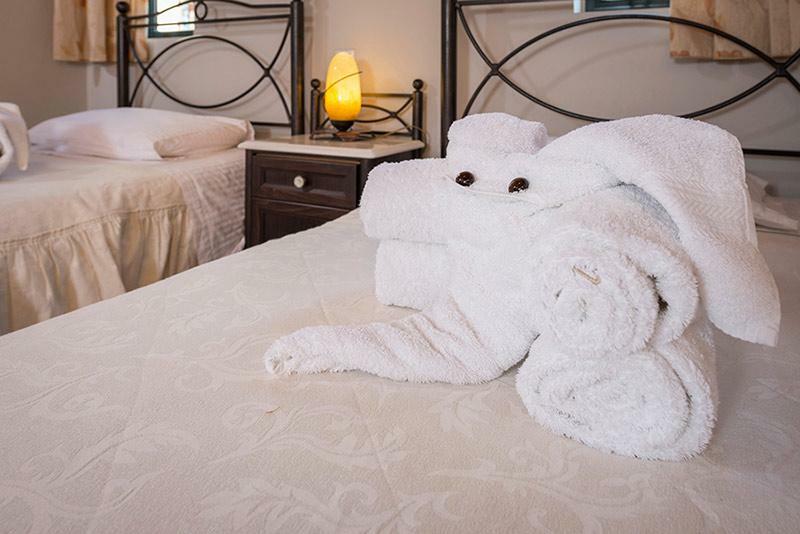 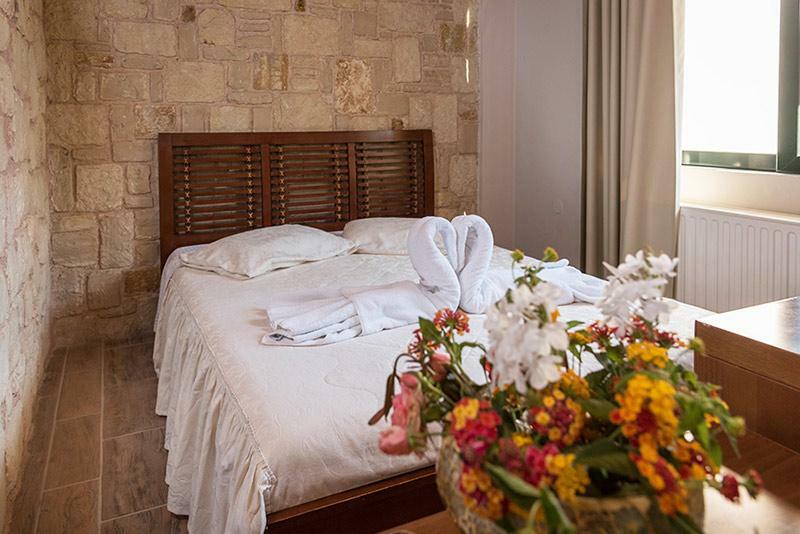 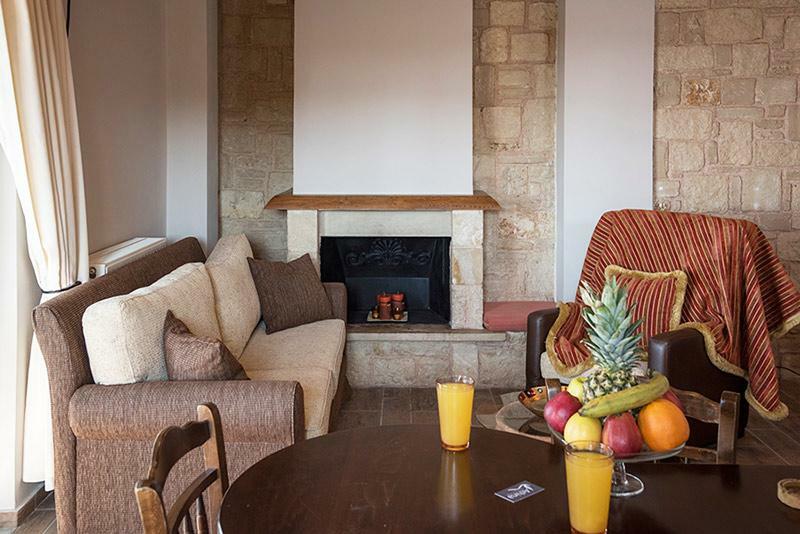 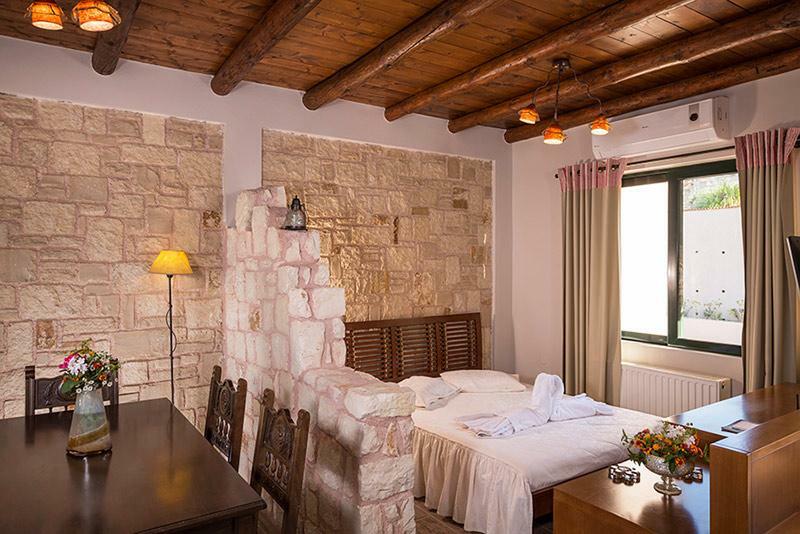 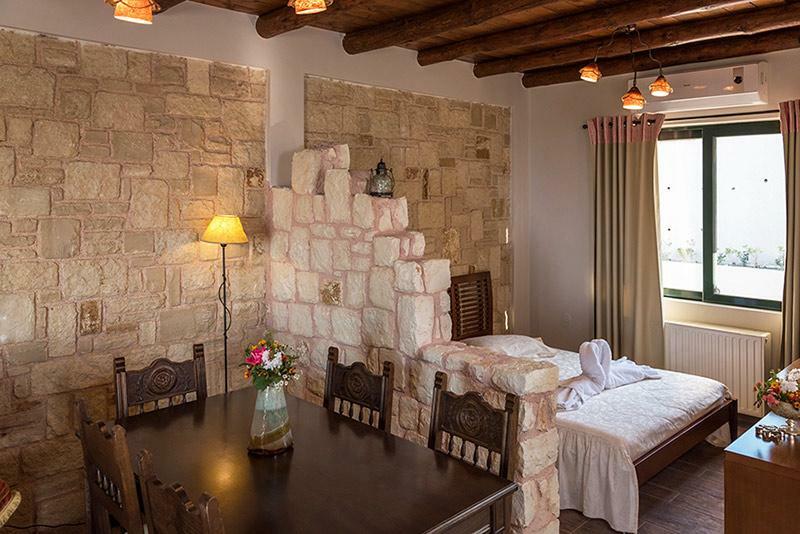 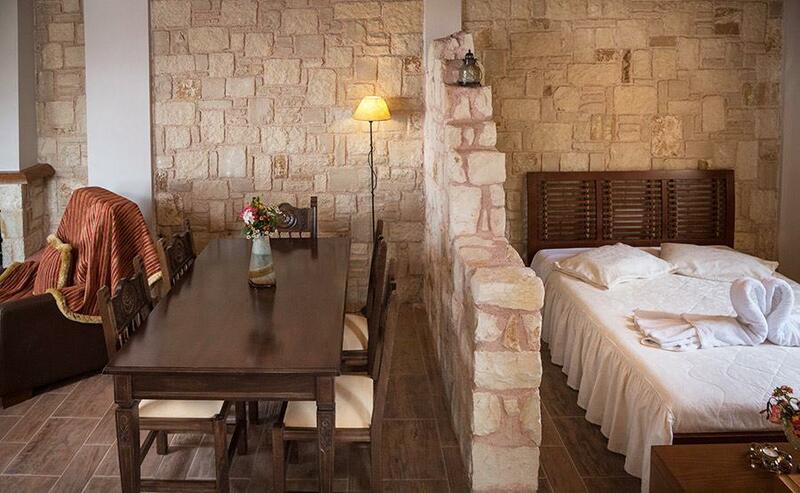 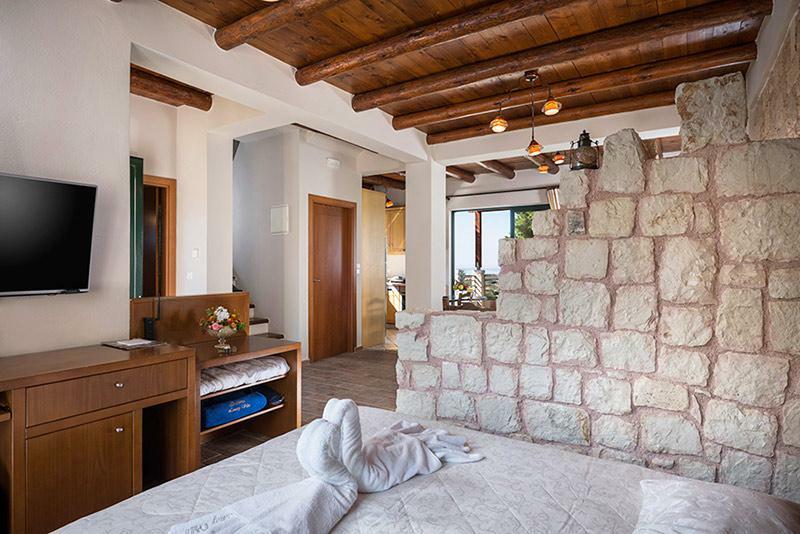 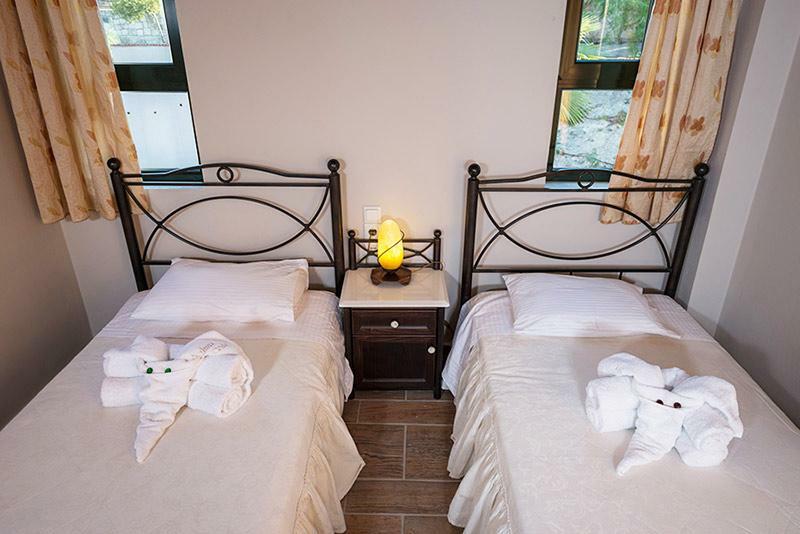 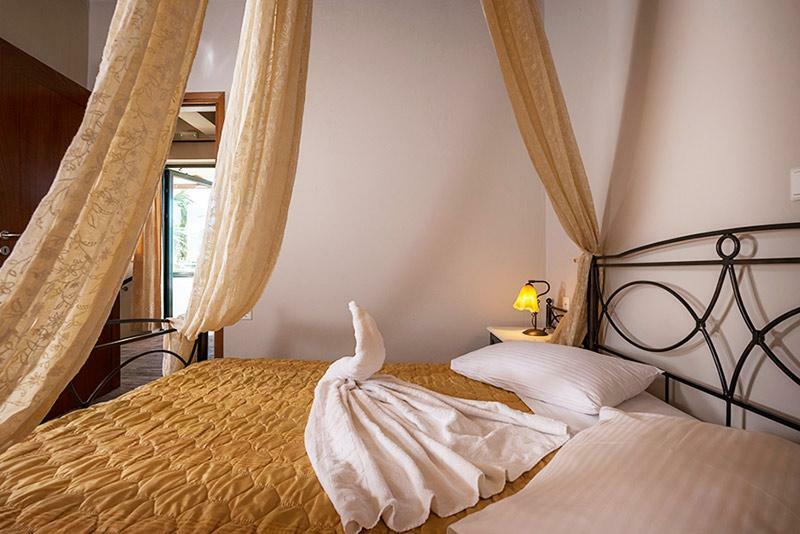 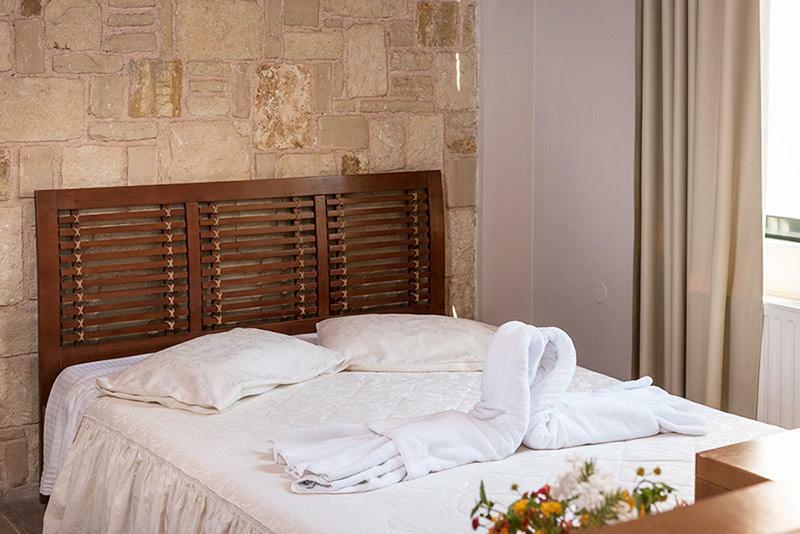 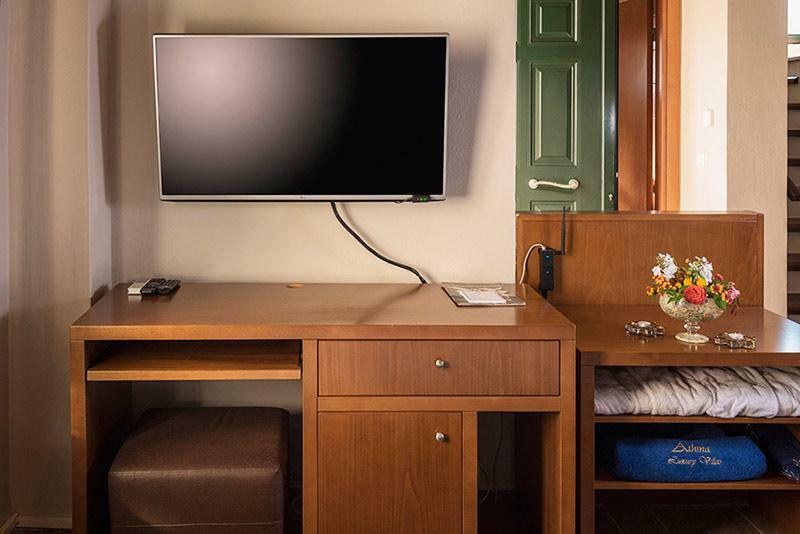 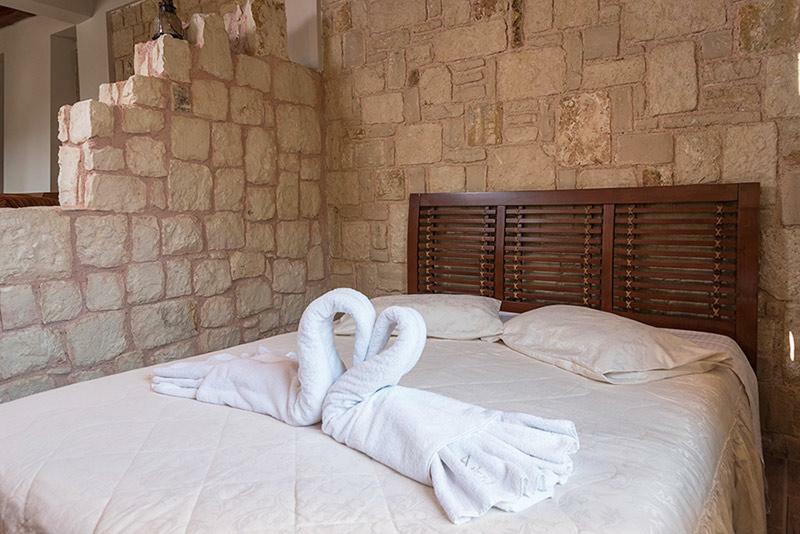 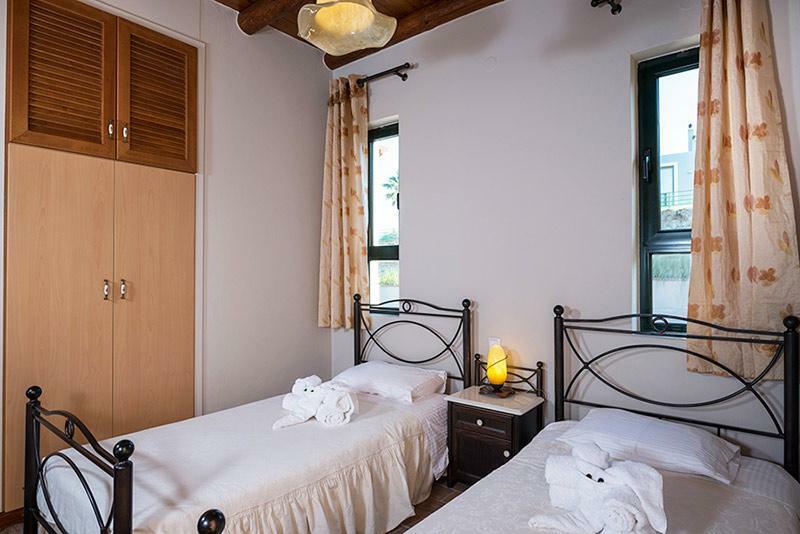 Each villa accommodates up to 5 or 7 persons, as it also has comfortable sofas in the living room that can serve as twin beds. 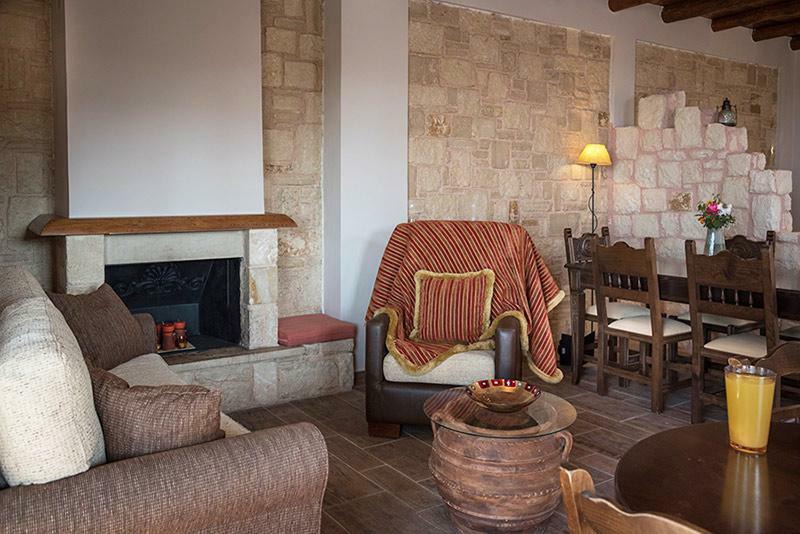 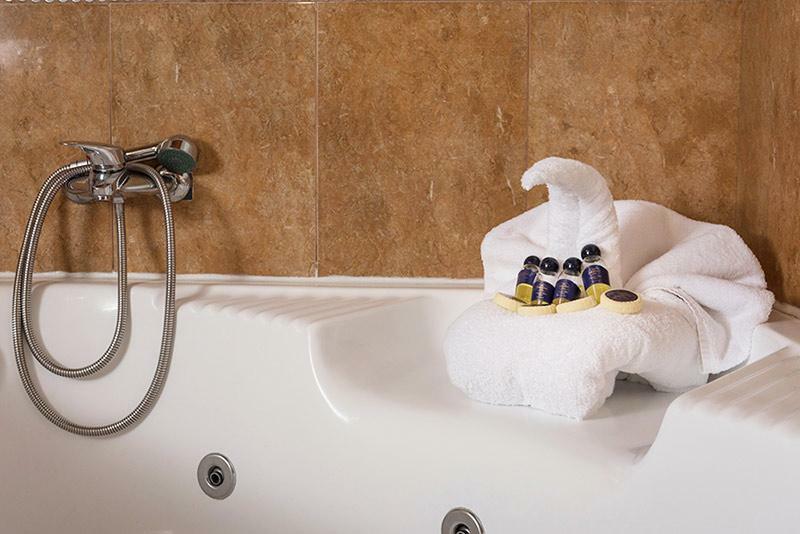 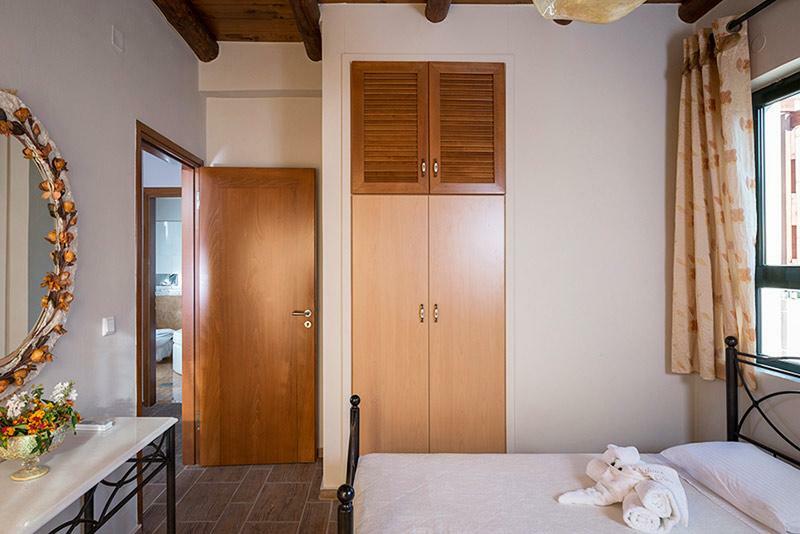 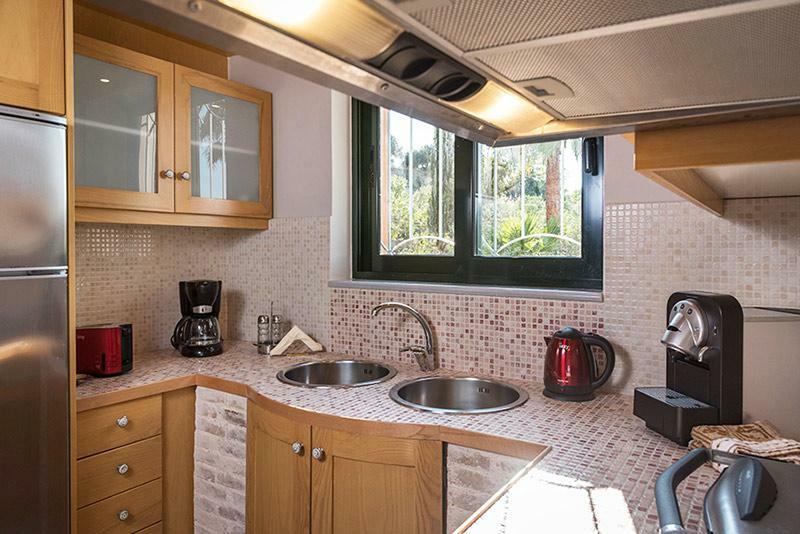 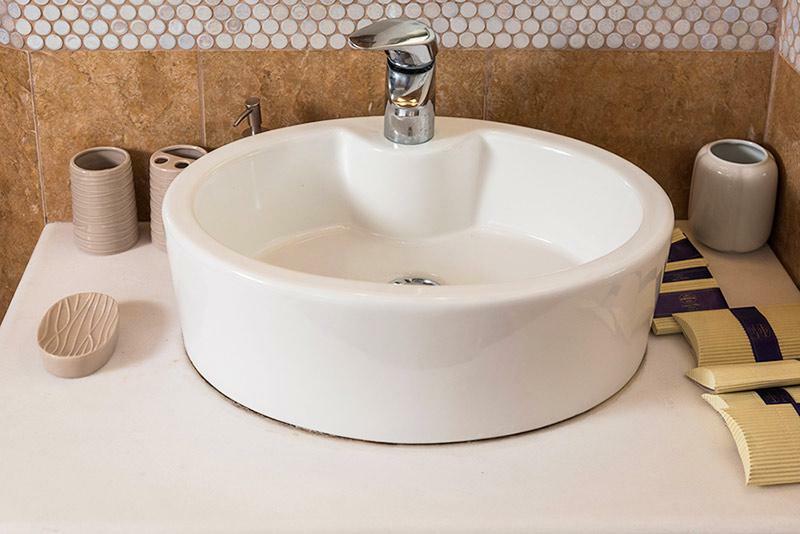 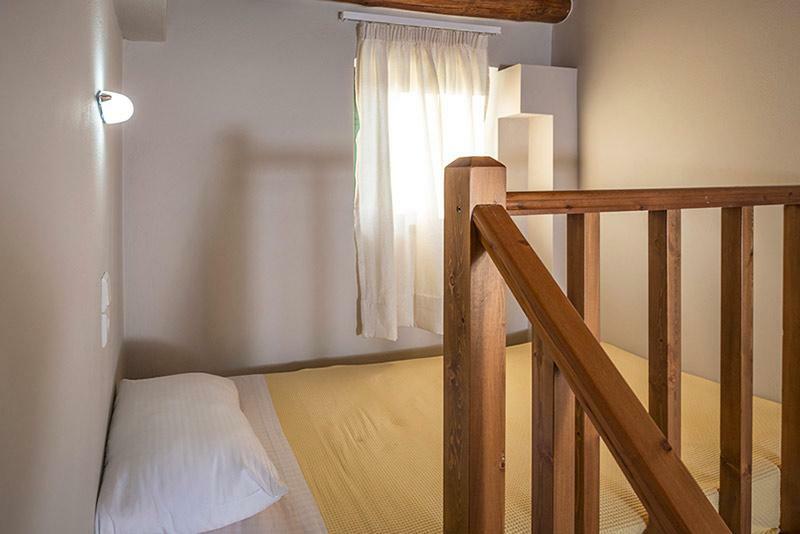 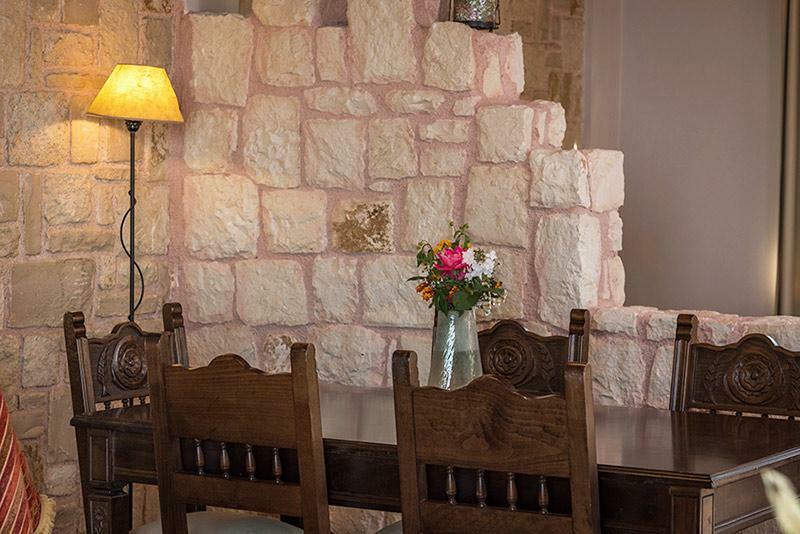 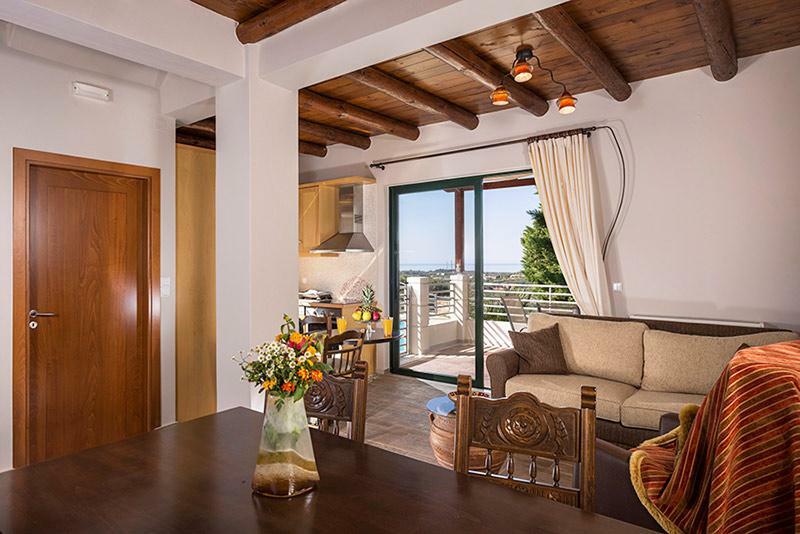 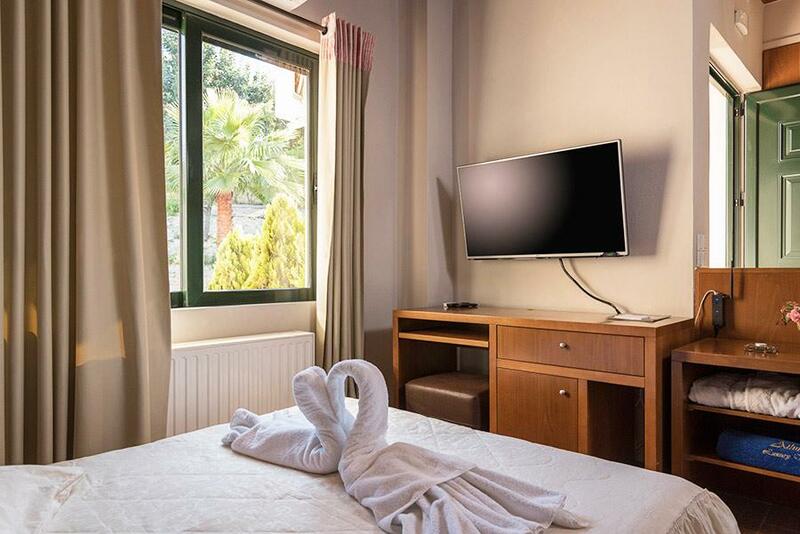 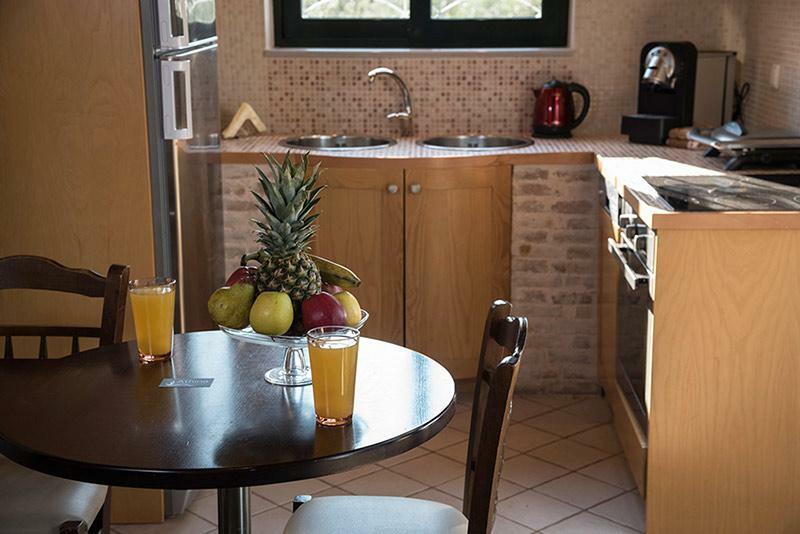 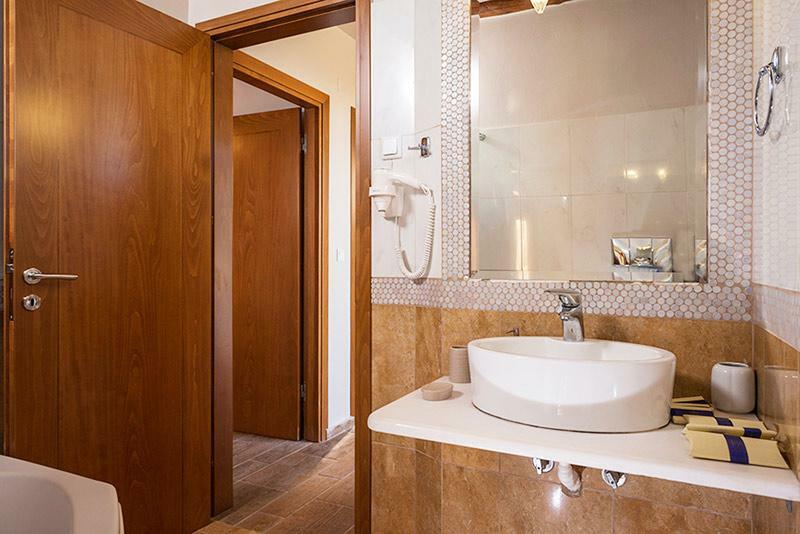 On the ground floor, there is the kitchen which is fully equipped and there is a dining table for six as well as cozy sofas in front of the fireplace. 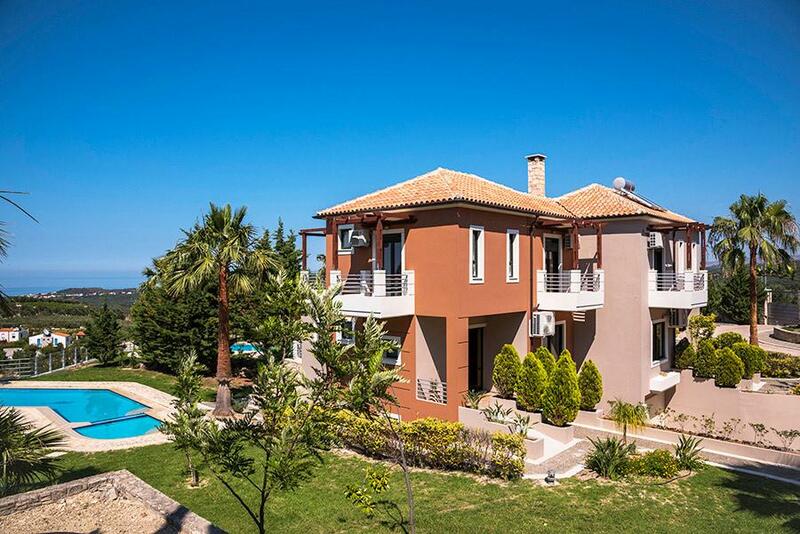 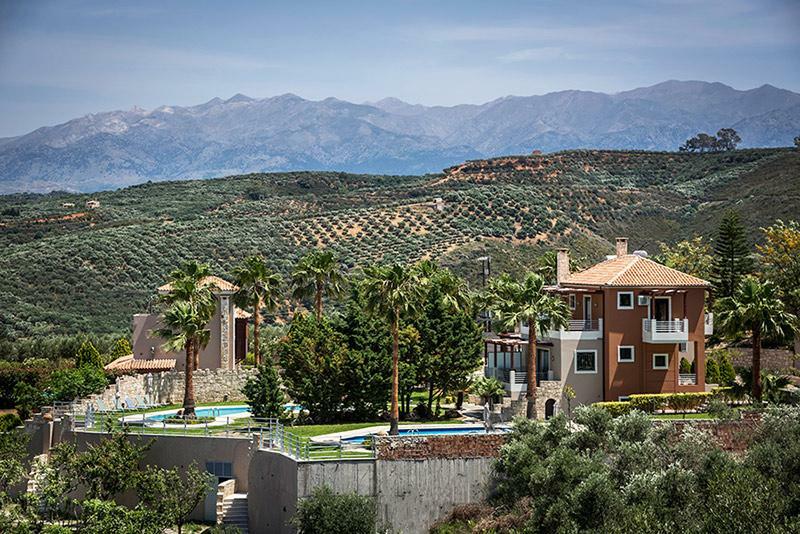 There is also a twin villa beside that can accommodate 7 more persons.